With a fatality rate as high as 90%, the Ebola virus or Ebola haemorrhagic fever has been endemic of regions in Central Africa for years. The recent outbreak of the Ebola virus has the world on edge, with cases popping up across the globe. It is important to understand the virus and how it affects your body in order to help prevent infection and give your body a fighting chance against this fatal virus. The Ebola virus is characterized by a systemic inflammatory response and immune suppression which can lead to organ failure and ultimately death. With no available vaccine or treatment, this virus is extremely dangerous and containment is currently the primary course of action. After contracting the virus, symptoms may not be apparent for days or even up to three weeks. Signs include a fever, sore throat, muscle aches, headaches, vomiting, diarrhea, rashes, decreased liver and kidney function, internal and external bleeding. Patients often sucome to the virus a week or two after symptoms initially appear, cause of death is due to the significant fluid loss. The Ebola Haemorrhagic Fever was first identified in 1976, between then and 2013 the World Health Organization has reported only 1,716 cases of the virus. The largest outbreak is the ongoing 2014 Ebola virus outbreak which began in West Africa, currently affecting Guinea, Sierra Leone and Liberia with relatively sparse cases popping up across the globe. 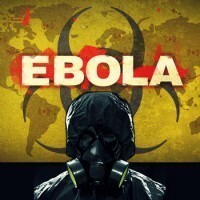 As of October 14th, 2014, there is a suspected 9,216 cases of the Ebola virus which have resulted in 4,555 deaths. This recent outbreak is the largest on record and has prompted a global effort to develop a vaccine and contain the outbreak. Certain preventative measures can be taken in order to help prevent the spread of the virus. The most important preventative measure in containing the Ebola virus is protective clothing and barrier isolation when working with individuals exposed to the virus. Protective clothing includes masks, gloves, goggles and suits, used whenever handling any objects or waste which may be contaminated by the infected person’s bodily fluids. Any object or surface that has come into contact with an infected individual must be thoroughly disinfected. The Ebola virus can be destroyed by exposing it to heat, boiling infected objects in water for 5 minutes for example. Quarantining infected individuals is an effective way to help decrease the spread of the virus. From there, contact tracing is of paramount importance in order to track the potential spread of the virus. Tracking down any individuals who have recently come in contact with an infected individual and monitoring them for signs of the virus. There is no clinically effective treatment currently for the Ebola virus, however world health programs are currently developing a vaccine to help fight the outbreak. Current treatments include managing symptoms of the virus, working to limit the pain associated with the symptoms and replenish lost fluids intravenously. Many alternative therapies are emerging claiming to help treat or prevent the Ebola virus. However none of these alternative treatments have been proven to help in anyway. Therefore the FDA warns consumers to avoid any products which make such claims. As we discussed earlier, the Ebola virus is characterized by systemic inflammation and immune suppression. 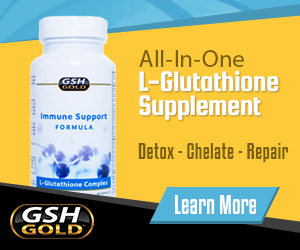 Therefore it is reasonable to assume that fortifying your immune function is beneficial when dealing with the virus. Supporting a healthy immune system is vital to our health and well-being regardless of whether we have a fatal virus or not. We always encourage readers to take a proactive approach to their health and support their immunity with natural antioxidants and supplements that help fight inflammation, infection and oxidative damage. Some doctors are coming forward explaining the need to further investigate the efficacy of increased glutathione levels for treating the Ebola virus. While there is no scientific evidence suggesting it has any effect, it will likely be studied further as a potential alternative preventative therapy for the virus.